Teasy & Friszi’s colection “Nice To Meet You” is a project by designers Teasy Shiruo Sun and Friszi Tianyang Jin. Comprised of handmade interactive garments, the timeless pieces are inspired by an original children’s story written by the designers themselves. The Hugg® Organic, Sustainable, Co-sleeping Crib allows for safe sleeping, giving baby their own crib space, while snuggled up next to the parent’s bed. It can be used as a bedside crib, moses basket, or a standalone crib. 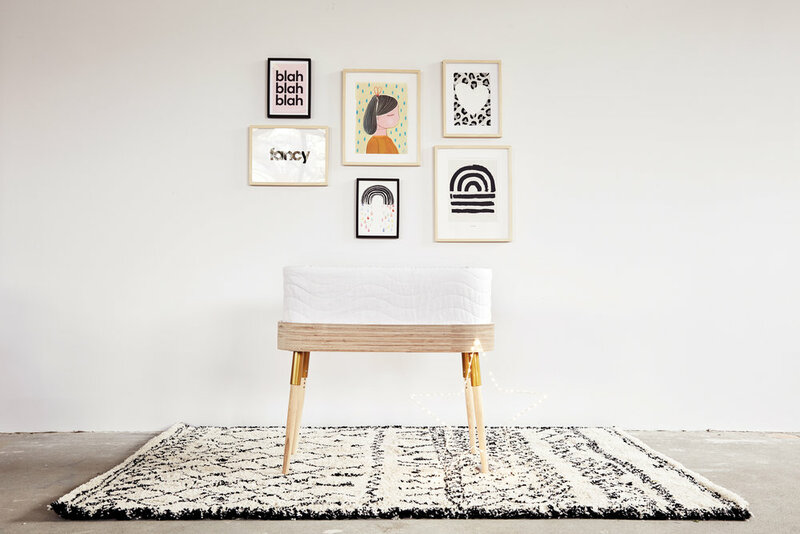 However, the Hugg Crib can also be used as a stylish mid-century style desk and bench for the playroom or nursery. Delivering functional properties beyond its original use. At Bababou, their design philosophy is to produce products that have a longer use compared to the typical nursery products – being kinder to the environment. With clean lines, simple aesthetic: timeless pieces to be enjoyed for many years. They are passionate about sustainability and care where everything is made, and where their materials come from. Supporting local companies, and always using sustainable and organic materials. Creating beautiful products that last.